Exclusive! 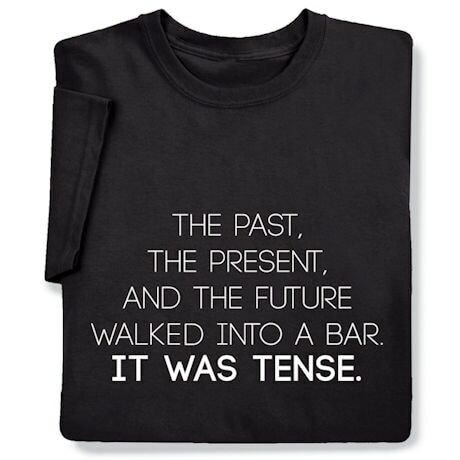 The classic man-walks-into-a-bar joke, especially for grammarians. Black sweatshirt is 50/50 cotton blend; T-shirt is preshrunk 100% cotton. Sizes S-3XL. Imported.